2018 USGAA Ladies Junior B Football National Champions! On September 2, 2018 the Celtic Cowboys Ladies Junior B Football team won its first ever national championship! 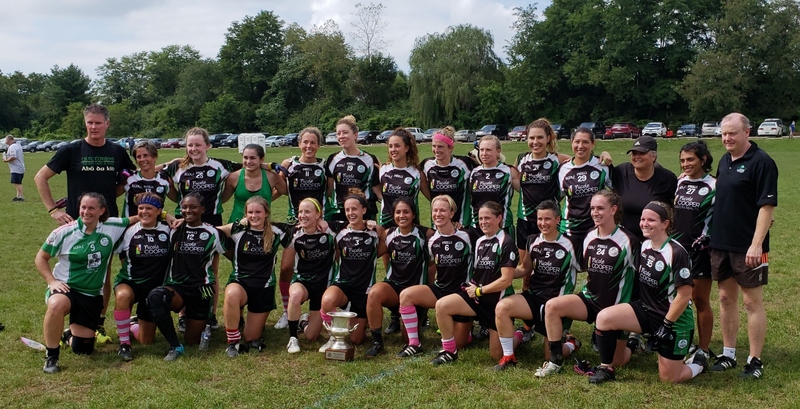 The USGAA finals were held in Philadelphia, PA and the ladies beat Denver Gaels (4-8 to 1-4), Seattle Gaels (5-11 to 0-4), and the host club Philadelphia Notre Dames (1-13 to 2-7) to win the cup. The championship match included an epic comeback as the team was down 0-4 to 2-7 in the second half. Congratulations to everyone who participated on the 2018 ladies team! 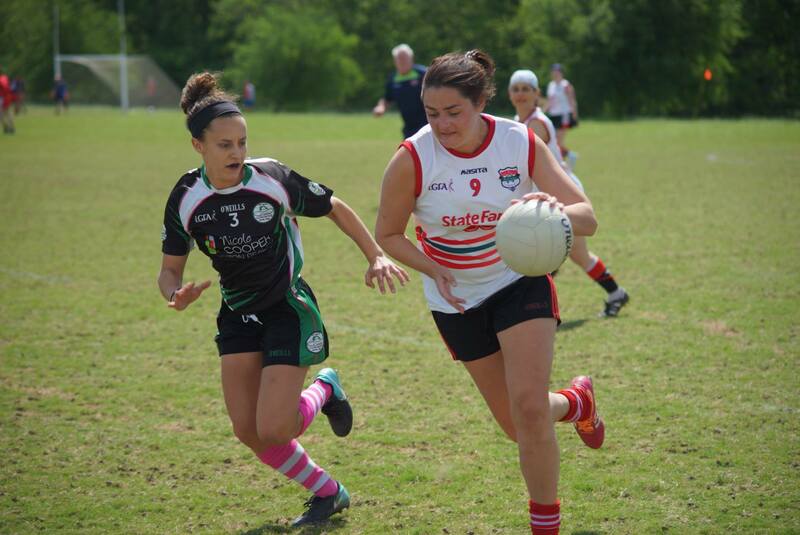 Austin’s first ladies Gaelic football team started play in 2013 as part of the Celtic Cowboys Gaelic Sports Program. The Ladies team completed its 6th season in 2018. We represent our city in matches against clubs from Texas and around the United States. We are actively recruiting and training players who want to learn the sport of ladies Gaelic football. Players range in age from 16 to 50 and while most have experience playing soccer, basketball, or rugby, prior sports experience is not required. The sport does require a fair amount of running (such as in a soccer match) so a minimum level of fitness is needed to participate. We have two levels which includes a beginner and an intermediate team to accommodate different skill levels and interests. Experienced coaches provide instruction on the skills and strategy of the game and many new players quickly pick up the sport and are competing on the intermediate team. The 2019 season kicked off in mid January with trainings on Saturday mornings and Tuesday evenings. Look for upcoming Events section on the right of this page and on the Gaelic Training page. Please contact us if you are interested in playing or training. Although the sport involves close physical contact, in ladies Gaelic football you may only take the ball from another player while it’s away from her body–no rugby-style tackles or shoulder-checks allowed! Expect about the same level of physicality as a competitive soccer match.